There are several Montessori organizations to which schools can belong. The two major ones operating in the United States are the Association Montessori Internationale, (AMI, with a U.S. branch office called AMI-USA) and the American Montessori Society (AMS). Parents considering placing a child in a Montessori school should ask about the school’s affiliation(s). Montessori schools teach the same basic skills as traditional schools,and offer a rigorous academic program. Most of the subject areas are familiar-such as math, science, history, geography, and language-but they are presented through an integrated approach that brings separate strands of the curriculum together. While studying a map of Africa, for example, students may explore the art, history, and inventions of several African nations. This may lead them to examine ancient Egypt, including hieroglyphs and their place in the history of writing. The study of pyramids, or course, is a natural bridge to geometry. This approach to curriculum shows the interrelatedness of all things. It also allows students to become thoroughly immersed in a topic-and to give their curiosity full reign. Although most Montessori teachers don’t assign grades, they closely observe each student’s progress and readiness to advance to new lessons. Most schools hold conferences a few times a year so parents may see their child’s work and hear the teacher’s assessment. 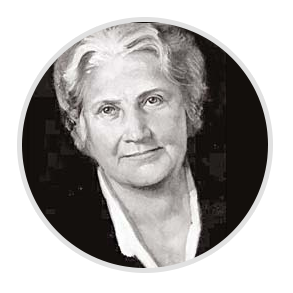 Dr. Montessori observed that children are most motivated to learn when working on something of their own choosing. A Montessori student may choose his focus of learning on any given day, but his decision is limited by the materials and activities-in each area of the curriculum-that his teacher has prepared and presented to him. Research studies show that Montessori children are well prepared for later life academically, socially, and emotionally. In addition to scoring well on standardized tests, Montessori children ranked above average on such criteria as following directions, turning work in on time, listening attentively, using basic skills, showing responsibility, asking provocative questions, showing enthusiasm for learning, and adapting to a new situation. Beginning at the elementary level, students typically set learning goals and creating personal work plans under their teacher’s guidance. Unlike some private schools, which strive for a very small classes, Montessori values the lessons of community when the size of the class is somewhat larger. Montessori classes for children above the infant & toddler level might include 20-30 students whose ages span 3 years. All members of the community benefit from this set-up. Older students are proud to act as role models; younger ones fell supported and gain confidence about the challenges ahead.